Another classic of the African Kikoys, here in the warm color of coffee cream. 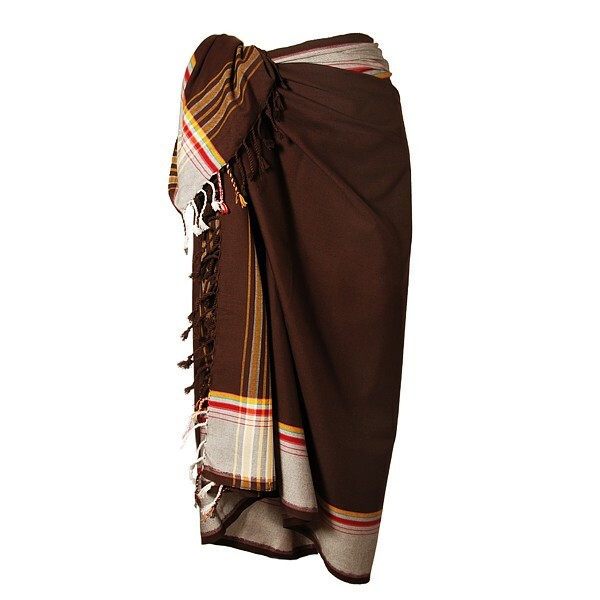 Versatile as a wrap, rock, beach towel, tablecloth, picnic blanket, etc. for each occasion and fashion. Men wear the cloth like a scarf, casually around the neck wound.